A premier review for a premier current account. 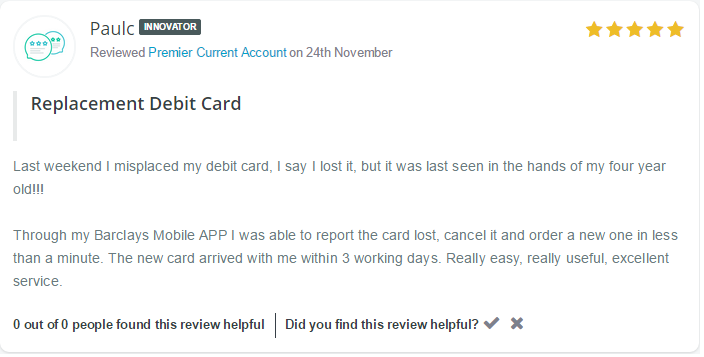 Great review from Paulc on his Barclays Premier Current Account. Our mission is to increase trust and transparency in Financial Services. Your reviews can help to make this happen. Thank you for all your reviews so far!